Made In USA by American Patriots - Tough enough to survive the coming disasters.. This Sturdy 30 Cal. Ammo Box Seals Moisture Out With an O-Ring and is LOCK-able. Buy a Spare One; One for a Loved One and One for a Friend. RECOMMENDED by Master Survivalists and Home Gardening Enthusiasts. 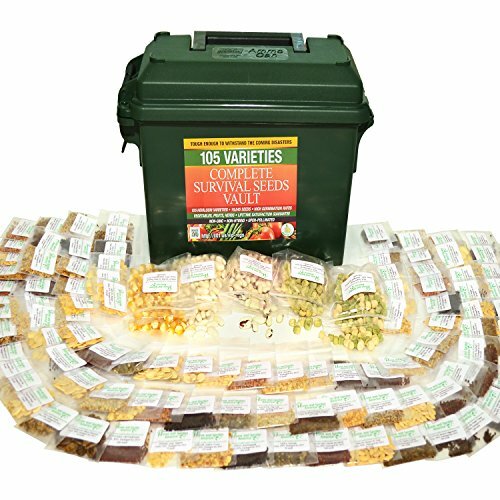 ACRES OF LIFE SUSTAINING FOOD: 100% Open Pollinated Heritage Seeds Will Feed Your Family Through Any Disaster and Beyond.